New enhancements directly support the Otus mission to serve as a comprehensive teaching and learning platform for K-12 teachers, leaders, students, and families to maximize learning. Otus unifies K-12 school communities around a common teaching and learning platform. By putting teachers, students, school leaders, and families on a common teaching and learning platform, students are more organized, teachers are more efficient, school leaders are more informed, and parents are more connected. The notion that teachers and school leaders have the summers "off" never sits well with teachers and school leaders. Anyone who knows an educator will tell you that this myth is simply not true. Otus, the fast growing edtech company, certainly didn't have a summer off either. Otus, based in Chicago's West Loop area, today announced the release of over 50 enhancements to their Student Performance Platform further disrupting the idea that legacy learning management systems, assessment platforms, data warehouses, and one-off edtech tools can only exist as disconnected solutions as opposed to a single, unified, teaching and learning platform in today's classrooms. With these updates, the team at Otus (many of whom are current or former teachers and school/district leaders) believe that teachers can finally implement initiatives like differentiated instruction and data-informed instruction that their districts have been working on for years, simply because teaching and learning tools are interconnected. "I was a user of a popular K-12 LMS. And, although I am biased, I can tell you that there is no reason why a teacher will want a disconnected experience in their classes this year by using one LMS, a different set of classroom management tools, while trying to juggle data scattered all over the place," said Christoper Hull, the Co-Founder and Chief Product Officer of Otus who continues to teach full-time at Elm Place Middle School in Highland Park, IL. With these new releases, curriculum and instruction departments finally have the same type of platform that exists for human resources departments and business departments. Otus provides a fully integrated, unified classroom experience, exponentially increasing the value of the classroom and learning, assessment, and data management tools. "By putting teachers, students, school leaders, and families on a common teaching and learning platform, students are more organized, teachers are more efficient, school leaders are more informed, and parents are more connected," said Dr. Matt Silverman, Assistant Superintendent of River Trails School District 26 in Prospect Heights, Illinois. All of the Otus updates are available for Otus users to begin using immediately. Otus is based in the West Loop neighborhood of Chicago at 1K Fulton, also home to Google's Chicago headquarters, and is dedicated to transforming how school systems use edtech to understand student performance. 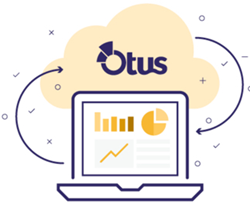 Otus provides the Otus Student Performance Platform, an integrated system with three primary components- a Classroom and Learning Management System, an Assessment Platform, and a Data Warehouse. To learn more about the Otus Student Performance Platform, visit http://www.otus.com.